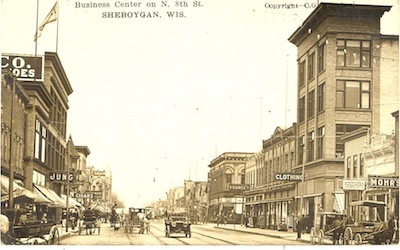 UW Digital Collections includes a large section of digitized images from Sheboygan County, including many furniture catalogs, military records, and city and county directories from 1875-1898. Go to "Browse Sheboygan County Historical Documents" from this link to see the list of items. Municipal records, including original city charters, have been digitized and may be viewed at the WI Secretary of State's website. Recollection Wisconsin is a space to discover digital historical and cultural resources from libraries, archives, museums and historical societies across Wisconsin. Ozaukee and Sheboygan Memories project funded, in part, through a 2014 Library Services and Technology Act grant. Images of many items scanned during the City of Sheboygan History Scan Days, sponsored by Mead Public Library, are posted here.